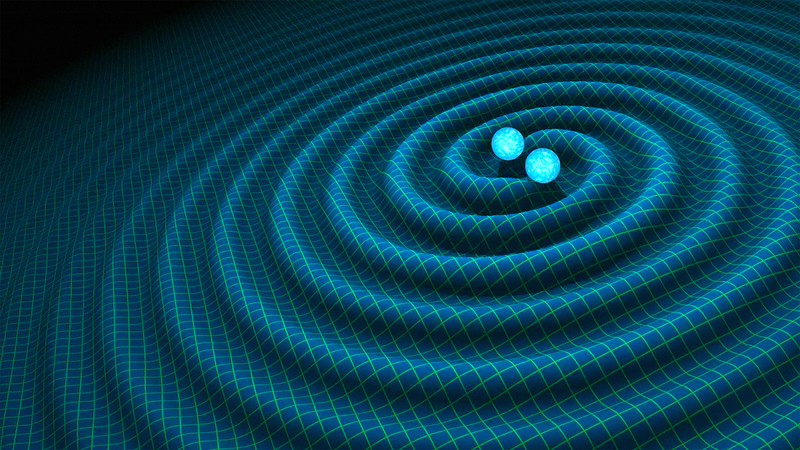 The National Science Foundation (NSF) has announced the detection of gravitational waves by the Laser Interferometer Gravitational-Wave Observatory (LIGO), a pair of ground-based observatories in Hanford, Washington, and Livingston, Louisiana. The LIGO detections represent a much-awaited first step toward opening a whole new branch of astrophysics. Nearly everything we know about the universe comes from detecting and analyzing light in all its forms across the electromagnetic spectrum – radio, infrared, visible, ultraviolet, X-rays and gamma rays. The study of gravitational waves opens a new window on the universe, one that scientists expect will provide key information that will complement what we can learn through electromagnetic radiation. Just as in other areas of astronomy, astronomers need both ground-based and space-based observatories to take full advantage of this new window. LIGO is sensitive to gravitational waves within the range of 10 to 1,000 cycles per second (10 to 1,000 Hz). A space-based system would be able to detect waves at much lower frequencies, from 0.0001 to 0.1 Hz, and detect different types of sources. NASA is working closely with the European Space Agency (ESA) to develop a concept for a space-based gravitational wave observatory. ESA is currently leading the LISA Pathfinder mission, launched last December and now in its commissioning phase, to demonstrate technologies that could be used for a future space-based gravitational wave observatory. NASA contributed its ST-7 Disturbance Reduction System to the payload as part of that demonstration. NASA missions are searching the sky for fleeting X-ray and gamma-ray signals from LIGO events. Detecting the light emitted by a gravitational wave source would enable a much deeper understanding of the event than through either technique alone. 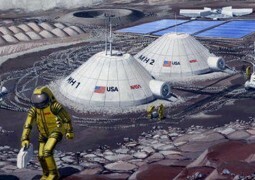 Mount Holyoke College professor Darby Dyar says it is not fantasy to think humans will colonize the moon in our lifetime.